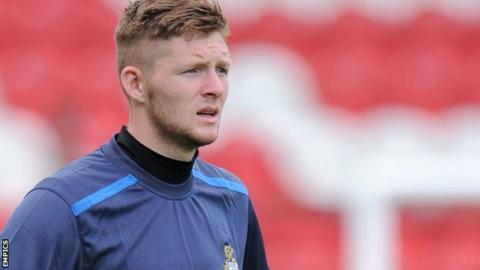 Forest Green Rovers goalkeeper Jonny Maxted has extended his stay at the club until the summer of 2017 after triggering a clause in his contract. Maxted has made 18 appearances so far this season for the National League leaders. "I couldn't have asked for a better birthday present to be honest," said Maxted, who turned 22 on Monday. The former Hartlepool keeper has kept seven clean sheets this campaign. "I only came in as second choice and it was unfortunate with Steve (Arnold) being injured, but the gaffer has had the faith in me to put me in there," he told the club website. "That has helped me with my confidence and I've just pushed on."